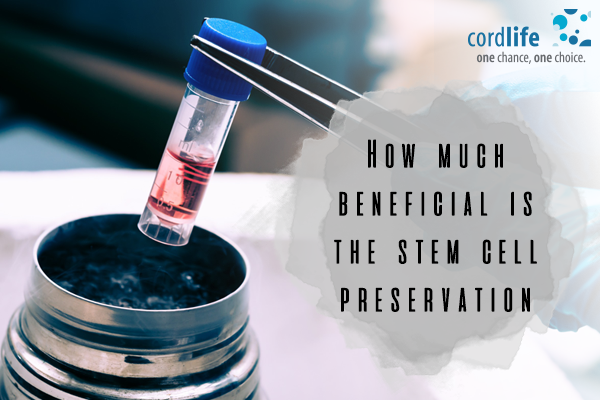 Home > Cord Connect > Stem Cell Therapy > How Much Beneficial is the Stem Cell Preservation!!! The blood that remains in the umbilical cord after the delivery of baby is known as the cord blood. 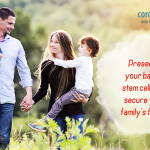 The cord blood is a rich source of stem cells that can be collected by a painless method. Cord blood banking is the method by which the cord blood is collected and its stem cells and other cells of the immune system extracted and cryogenically frozen for medical use in future. Cord blood is currently recommended for the treatment of nearly 80 blood and immune diseases. Cord blood has an ample number of stem cells and cells of the immune system which are nowadays expanded rapidly for medical use. Cord blood is often known as a regenerative medicine because these cells help the body regenerate tissues and systems. If somebody does not have stored the cord blood, they will have to depend from another source on stem cells. Bone marrow contains similar versions of the same stem cells that are abundant in cord blood, though less useful and probably contaminated. 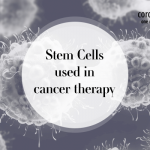 As the process of obtaining stem cells from bone marrow is painful so the scientists started looking for another source of obtaining stem cells. This process eventually show the way towards the discovery of stem cells in cord blood in the year of 1978. Cord blood is recently approved by the FDA to treat nearly 80 diseases, and cord blood therapies have now been conducted even more than 35,000 times across the world to treat cancers (including lymphoma and leukemia), anemia, metabolic disorders inherited, and some malignancies and orthopedic treatment. Cord blood from the umbilical cord of a baby is always a perfect match of the baby. Moreover, immediate family members are might also get a match from the baby’s stem cells. Siblings have a 25% chance to be a perfect match and a 50% chance to be a partial match. Each of the parents provides half the markers have a 100% chance to be a partial match. Even grandparents and other relatives might have a chance to get a match and can get benefit from the cord blood that is banked. Whenever the treatment gets failed doctors often recommend the patient family to do stem cell transplant. The process of stem cell transfusion from the cord blood will help to regenerate new blood, organs and immune system. It then provides the patient a good chance of getting recovery from the untreatable disease. 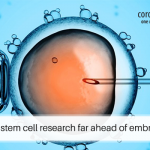 In contrast to bone marrow or peripheral blood stem cells, embryonic stem cells in cord blood are young and immature and still did not know the way to attack foreign bodies. As the cord blood stem cells are less likely to reject the transfusion, it is easier to match transplant patients with cord blood than with other stem cell sources. This makes the umbilical cord blood a valuable resource for the ethnic minorities those who faces difficulty in finding matched stem cell in the registry of bone marrow donor. On a concluding note it can be said that the stem cell banking in India will be beneficial for patients those who are suffering from untreatable diseases. Stem Cell Therapy stem cell. permalink.